Born in Edinburgh and brought up in Bristol, Ann was educated at Clifton High School for Girls. After a mediocre academic life, she went to London and took a secretarial course at Mrs Hosters Secretarial College in Kensington. Life was different; typing to music, speeding up her shorthand, and having to clock in and out every day. However, at times she escaped to Question Time at Parliament as she studied politics rather than the other option of book keeping. She went on to work for the Industrial Welfare Society (now the Work Foundation) which was then run by John Garnett, in the publicity and personnel departments. After her marriage, she followed her husband, Peter, around the UK as his career progressed. Their first years were spent in Armagh where she was responsible for starting the Armagh Society. Although the makeup of the committee was politically sensitive, particularly just before the troubles in 1968, she managed to organise a workable group of both Protestants and Catholics. Ann and Peter moved to Shropshire, Northumberland, Somerset, London, North Yorkshire and then Leicestershire in 1983. 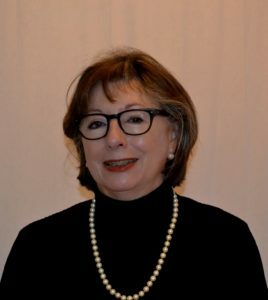 During those peripatetic years she had two children and worked at Wells Cathedral School for the Science Department, and for a property rental agency in Wimbledon and continued to be active in politics. Once in Leicestershire, after several years working as a volunteer for LOROS as a bereavement councillor, she was asked to stand for the County Council in the Broughton Astley Electoral Division of 17 parishes. She became spokesman for the County wide Museums, Arts and Libraries service and then for the Environment. During this time she was Chairman of Governors of the Children’s Hospital School, County Chairman of the Rural Development Commission and a member of the Board of the East Midlands Ambulance Service. After eight years she decided that she had given up enough hours to committee work and nights out at Parish Council meetings and retired. However her political career continued and she became Chairman of the Blaby Conservative Association (now South Leicestershire Association) and then Chairman of the Leicestershire and Northamptonshire Area Conservatives. At the same time she went on to train with and work for Craigmyle, a fundraising consultancy which worked with schools on capital projects. She then became a Trustee of the resurrected Fuchs Foundation and took on the responsibility of fundraising and organising many events at the Royal Geographical Society and St John’s College, Cambridge. She was instrumental in starting up the Friends of the Sedgwick Museum, the geological museum of Cambridge University. She is a published member of the Vaughan Writers and founded the Dunton Bassett Community Singers of which she is a member. She is also a fellow of the Royal Society of Arts Manufactures and Commerce and her involvement in politics continues. She has a daughter and son and two grandsons and two grand daughters and enjoys being a part of their lives.